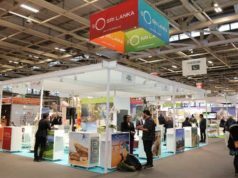 Over 3000 tourists from Europe, Australia and Thailand arrived aboard two luxury cruise liners to Sri Lanka during the last two weeks reflecting increased interest in Sri Lanka since the launch of a new brand identity that amplifies Sri Lanka’s natural offering, wellness tourism and lesser known attractions. On their arrival, officers from the SLTPB welcomed the visitors and provided the necessary information needed during their short stay. Luxury Cruise Liner Sapphire Princess which embarked from Singapore on March 10th docked at the Colombo Port on March 15th. The ship had departed from Phuket, Thailand prior to its arrival here. Malship Ceylon Limited handled the line while ground handling was coordinated by Lotus DMC Lanka. 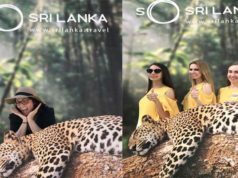 There were 2500 passengers on board who toured the Pinnawala Elephant orphanage, the southern coast, Dalada Maligawa, Colombo city tours, Kandy and lesser known attractions. The cruise will end its journey at Southampton, England on April 13th completing 37 nights touring many countries. The luxury liner has a vivid variety of dining options onboard including eight restaurants, several lounges, pizzeria, bars and cafes. The liner also has five swimming pools with 8 jacuzzi’s, aerobic studio, beauty salons, and many entertainment options. The Pacific Princess, which is part of the Princess Cruise line embarked its journey from Fort Lauderdale in Florida on January 5th and arrived from Phuket, Thailand to Sri Lanka on March 13th. The cruise liner which will make its way to Male in Maldives is ferrying passengers from European nations, Thailand and Australia. The line was handled by Malship while Lotus DMC Lanka coordinated the ground handling. 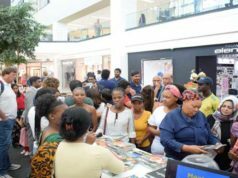 There were 600 passengers onboard who were impressed with the destination offering including special emphasis on spiritual and wellness tourism. Tourists toured the City Colombo, Kandy and popular attractions. 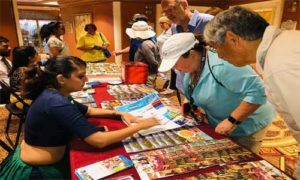 Within the last three months of this year, six cruise ships have arrived in Sri Lanka with a total combined capacity of 11,200 passengers.